The first week of the hols has breezed past me. I’ve spent most of the time eating mom’s homemade lunches followed by dinner from some of the best joints in our vicinity. I’ve tried to plan my actions for the winter. It strikes me, that while it is easier to do what you want when you have all the time in the world; it takes much more effort to do the same. To paraphrase Gandhiji, I’ve seen nothing, heard nothing, said nothing. I have, however caught 3 movies in the halls/multiplexes in 3 days. Unsurprisingly, the Hindi movies were avoidable, and MI4 was only a reasonable justification for my valuable time, I enjoyed the experience nevertheless – probably because I hardly get to go the movies while in college. While most of the enjoyment has been due to the company, the sarcastic comments and the food that followed, there has been one another thing that I have enjoyed. 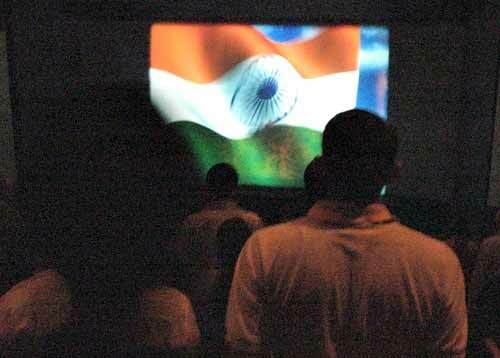 It was to stand up and pay respects to the Jana Gana Mana just before the start of all the movies. While you can hardly call my obeisance to the national anthem as a source of enjoyment, and indeed some of you might even take offense at my description of the experience, I maintain that I have actually enjoyed it. During my schooldays, when I still used to harbor dreams of representing the country in sports, the national anthem was the ultimate goal. 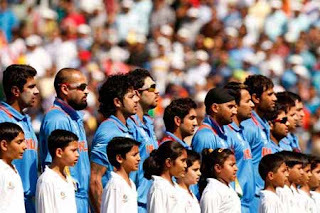 That was the dream, to listen to the national anthem being played in a stadium full of people, with a medal or a trophy in hand and the tricolor flying high and proud. That dream has long since evaporated. But listening to the rendition of the song by some of the legends of Indian music has definitely brought back the nostalgia, the idealism and the desire to do something for the country. In Mumbai, the national anthem is played compulsorily before every movie. And on all 3 days the national anthem took me into a pensive mood. The first time it was played in the form of the video made for our 50th Independence Day celebrations featuring some of the biggest names of Indian music including Pt. Bhimsen Joshi, Pt. Jasraj, Hariharan, Lata mangeshkar, Asha Bhonsle, Jagjit Singh, A.R. Rehman among others. The emphasis that these legends put on certain words made me feel, for the first time, as if the words meant something greater. I pondered on the meaning of the lines and then I realized that I never ever knew what the national anthem means. For those of you like me, and I know there will be many, I will put the English translation of the song at the end. But nevertheless, the emotions conveyed by the song were very clear. After all the time we spend cursing and criticizing the casteist, regionalist and communal tendencies, it feels good to still remember that our country is only as good as us, its citizens. And when I stood up in the hall yesterday, listening to the national anthem being played, I let my eyes drift over the other people in the hall. Everybody, people from different backgrounds, differing values, differing opinions about the country, everybody stood up for 54 seconds as one. I will remember that moment when I saw another guy wearing a Chelsea t-shirt and me wearing a United shirt both stood together for the same thing. It may seem funny to you, (and to non-football people) but for me that moment was symbolic. When we grew up, we respected the national anthem because we were, as one of my friends pointed out, “brainwashed” into it. I do not dispute the fact. We did it every day, just because we had done it yesterday. As time went on, I did see people who talked, or giggled, or fidgeted during the national anthem. Teachers could no longer tell them not to because they were, well, “grown up” now. I never could respect such people. Full of idealism, rigid in my beliefs I always lost respect for people when such things happened. Now, while it doesn’t seem that important or even necessary, to stand up every time or every day, I still do it. And so do most other people. Some do it due to social compulsion, some do it because it’s the right thing to do, and some do it because they want to. It doesn’t really matter that much why they do it, but when they do, they are all one. For those 60 seconds, it doesn’t matter whether you’re from Mumbai or ROI, it doesn’t matter whether you support Telangana or a United A.P., it doesn’t matter whether you’re a Jat or Dalit or any other caste. And it definitely doesn’t matter whether you support United or Chelsea. Causes and beliefs become encompassed in one superior, binding effect. We are united by a common trait, we are Indians. 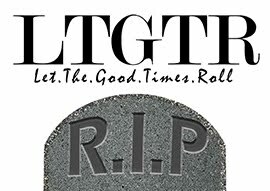 This entire write-up is not just because I wanted to post something. It is my argument in favor of making it compulsory to play the national anthem before any large social gathering all across the country.